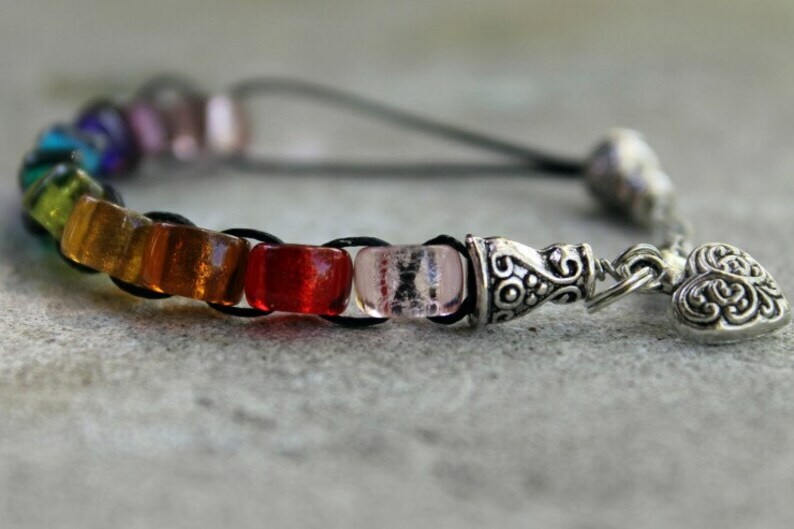 These glass beads shimmer with God's promise to give us the grace we need to serve Him each day. By saying “yes” to the struggles that are placed before us, we open ourselves to God's grace. Through our effort we are sending a rainbow of love back to God, while also allowing His love to shine through us to those whose lives we touch.